Summer is just around the corner. So it's time to update your collection of summer dresses. Shopping for maxi dresses 2015? 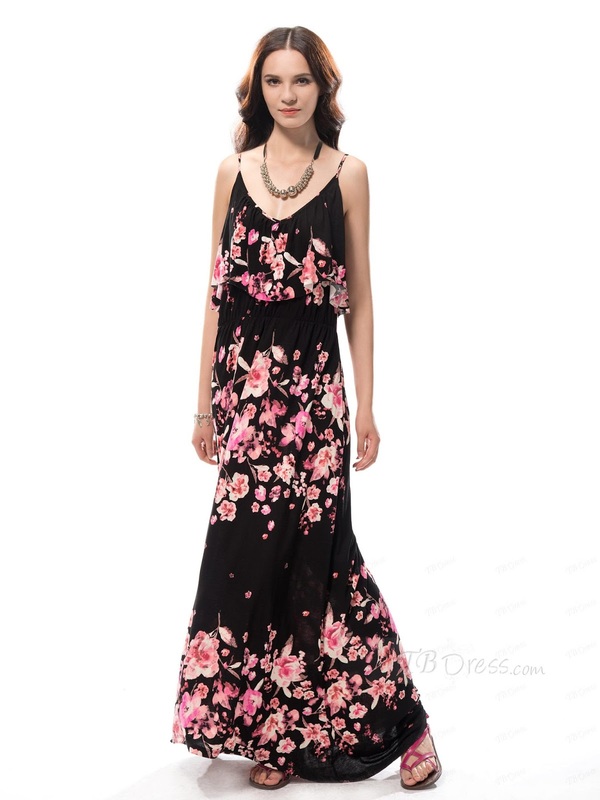 Tbdress offers cheap summer bohemian dresses for women. Here you can find long plus size maxi dresses with sleeves, maxi dresses for short people, Beach Boho Maxi dresses and many more. There's lots to choose from this season when it comes to summer dresses. Shop lace, print, chiffon & one-shoulder from the best brand, TB dress. Imagined to rule the spring and summer of 2015 came adorned with the most sophisticated style I want to share below. Printed/floral dresses are eye catching, such a a chic sight to see!Keep your floral addiction under wraps and dose up on your addiction with this maxi. (Click the photo above for more of this look). You can never go wrong with a plain white classy dress. A white maxi dress is an easy way to master the all-white neat look. (Click the photo above for more of this look). Spring is in full swing with this adorable, color block dress. This boho dress is the perfect mix of colors: navy blue and coral. This is such a perfect festival statement. (Click the photo above for more of this look). I like the white dress, so gorgeous!